I found a lot of photo albums which come from a friend's family. 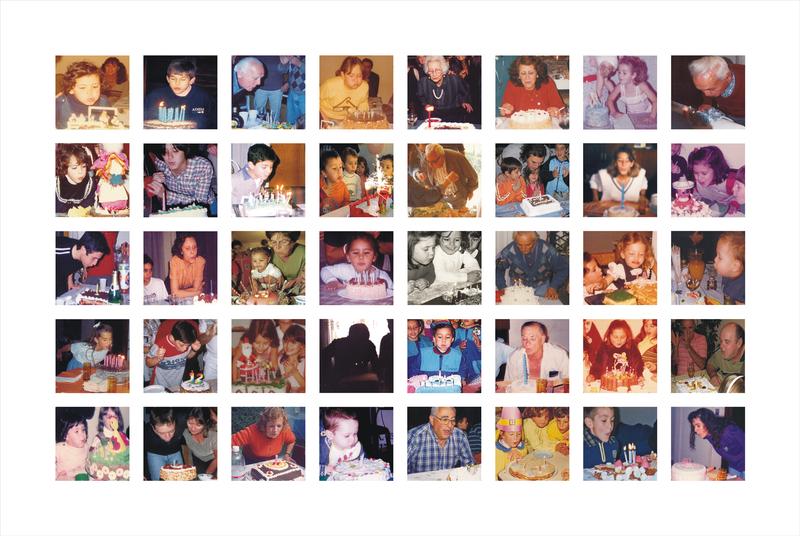 In each album most of the pictures were from birthday days and parties and several photos show the moment in which the main actor of this party - and sometimes those beside him- blow the candle on the top cake. I am struck by the posture and gestures of each picture and the accurate moment when sometimes candles are lit or immediately off. That makes me think about time and expectations before and after blowing candles. Renewing or maintain personal dreams with this "three wishes". I send emails and invite people to answer me with birthday parties photos in the blowing candle moment. With this I build a collage- archive with 40 honorees and blowing cakes.